While Betsoft have become known for innovative 3D pokies, their latest release called Jumbo Joker takes them back to their pokie roots. This 5 payline, 3 reel pokie has a classic fruit machine style design which will be instantly familiar to veteran players. This classic pokie offers a 95% RTP along with a 2000 coin jackpot. What makes this BetSoft pokie such a winner though is the amazing atmosphere that the developers have managed to capture here. The team has opted for an atmospheric soundtrack rather than creating a musical soundtrack and it increases the sense of immersion ten fold. The ambient sounds makes you feel like you are standing in an active land based casino, with each win you register sounding like an actual mechanical pokie. This is quiet an interesting release for BetSoft. When most other developers are jumping on the Halloween bandwagon, it seems Betsoft have opted for a quality release rather than a seasonal one. 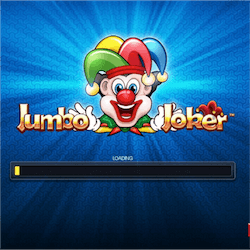 Jumbo Joker will be available for both desktop and mobile play, although the pokie’s use of two reels makes the screen a bit cramped on mobile devices. The dual reel system is almost like progressive reels. Each win over 20 coins allows you to start playing on the second set of reels with much more valuable symbols appearing on it. Dan Cooper from Betsoft product development stated that this new pokie is an ideal option for players who love an authentic classic pokie experience. He highlighted the strategy involved in playing Jumbo Joker, creating a more in depth experience for players. He also highlighted the addition of Mystery Win prizes that activate randomly during the Jumbo Meter mode where you play on the second set of reels. Betsoft also grabbed headlines this month with some exciting new content deals it made. Betsoft signed a great deal with HDFBET , an Asia facing operator who caters to China, Malaysia and Singapore. With so many developers trying to gain entry to this lucrative market, Betsoft will be very proud of themselves. Betsoft also signed a partnership with Italian operator, Sisal. Under the agreement, Sisal will offer Betsoft pokies to Italian players, as long as they have been AAMS approved. Sisal is one of Italy’s oldest gaming operators with 70+ years of experience behind them. This new deal gives Betsoft and incredible opportunity for market penetration under the guidance of an industry stalwart.